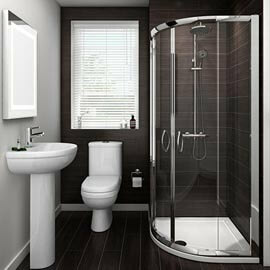 With the ever-growing trend for ultra-modern bathrooms it might seem as though going down the contemporary route is your only option sometimes, but you'd be wrong! 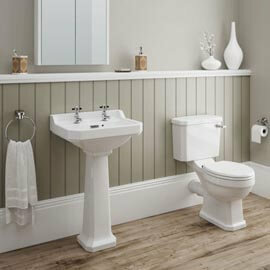 You see, traditional bathroom suites never really go out of fashion because they are so timeless in their design. Their elegant lines are perfect for complementing older homes or simply giving a touch of period authenticity to more modern builds. 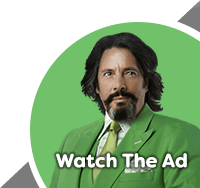 But there's more to purchasing these suites than just great looks, as we'll explain. 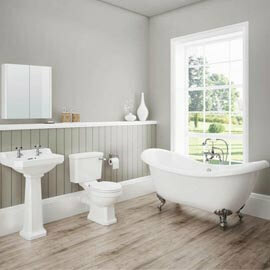 When you order your traditional bathroom suite from us what you'll usually receive is a toilet, basin and bathtub. 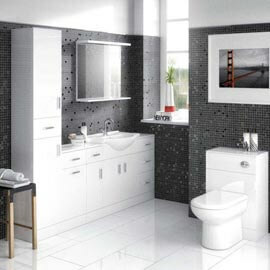 Our packages include all kinds of stunning designs from dramatic freestanding baths to striking high-level cisterns, so you just need to choose a style that suits you. Some of our traditional suites will feature more than just these items though. 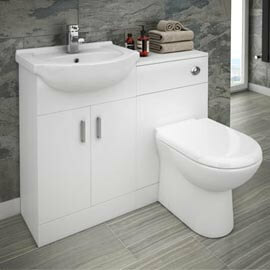 You can get sets which include wastes and taps (which feature classic crosshead handles of course!) 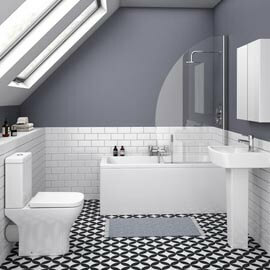 and even packages that take this a step further and throw in a period influenced heated towel rail to really nail the look. What do I need to purchase separately? 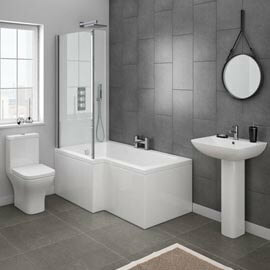 Unless otherwise stated, you won't normally get any taps or wastes with your traditional suite. 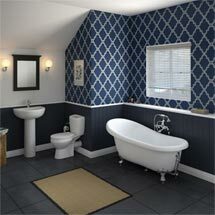 It's also worth pointing out that if you are going for a freestanding bath then you'll need either freestanding pipes or pipe shrouds for the taps as well. 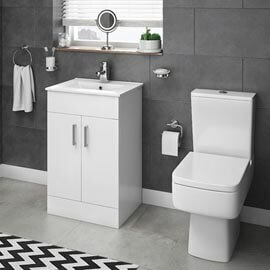 Freestanding items are for baths with no tap holes and they position the taps close to the tub, providing them with a stylish, supportive structure; while shrouds connect to the underside of the tub and hide any ugly pipework if you're using taps which are deck mounted. Can I fit these products myself? We wouldn't recommend tackling these jobs yourself as they require a good knowledge of plumbing. If you're not confident that you can fit your suite without ruining the entire house then you can always call a professional to save your blushes!